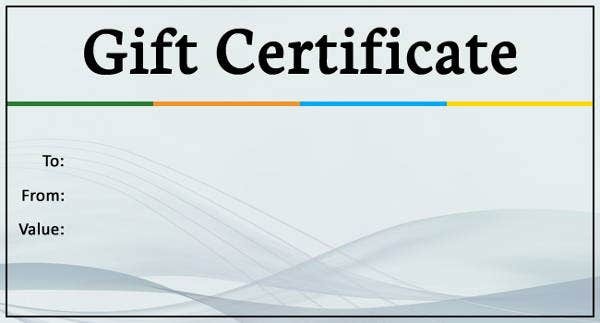 Gift certificates are documents given by an individual or a group to someone so that the receiver can use it to avail a product or a service using the said certificate as payment rather than cash. 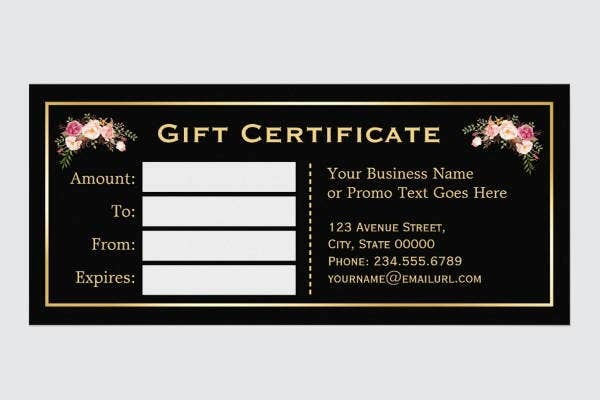 Most commonly, gift certificates are marketing tools of a company. Otherwise, it has already been paid by the giver to the provider so that the receiver of the gift certificate can enjoy its perks. You may also see Certificate Samples. 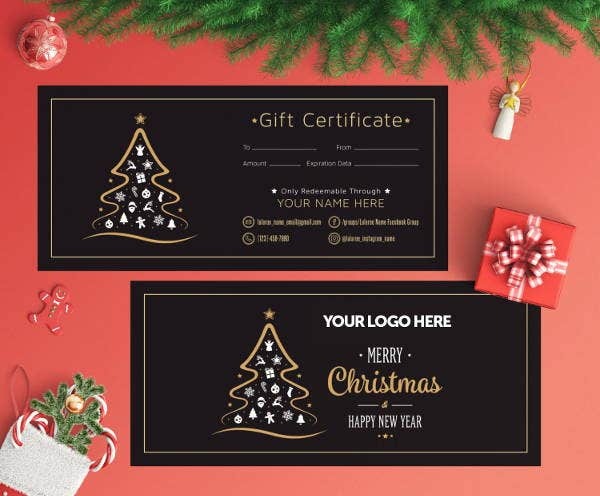 A gift certificate is different from a gift card. 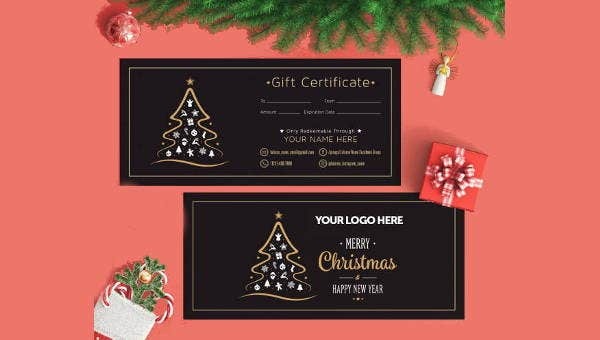 Gift cards are usually prepaid cards with stored monetary value on them while a gift certificate is a document in paper that may or may not store monetary value. More so, gift cards also do not expire in most cases while a gift certificate may only be used for a specific period of time. You may take a look at our certificate templates for references. The expiration date of the gift certificate. 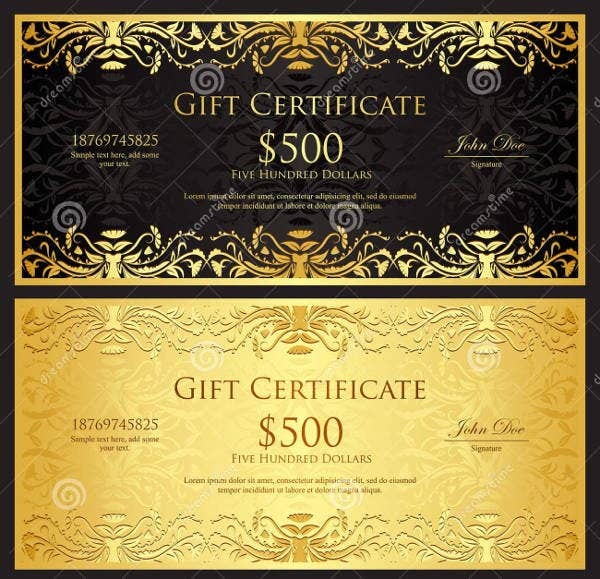 There are a lot of gift certificates that may be used only for a specific period of time. Before saving it for a special date of usage, know first if it can still be used in that specific date. Knowledge of the duration of usability also helps you to plot when to use it. Gift certificate conditions are also a big factor to consider. 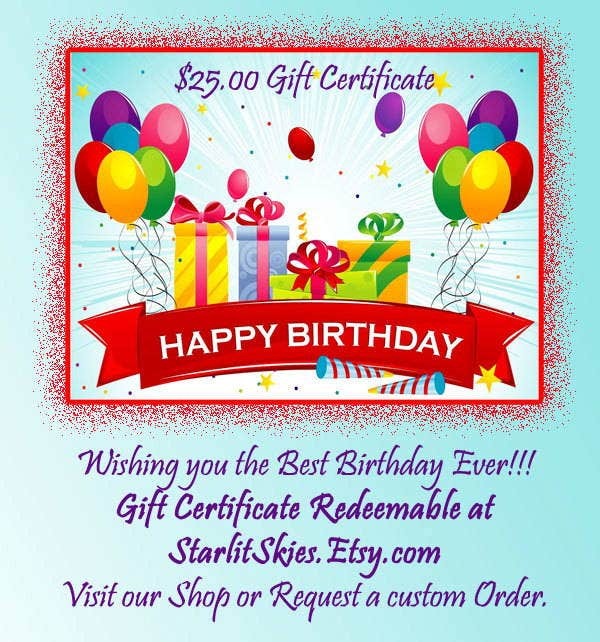 There are various elements in the gift certificate that must not be folded nor torn. They need to be shown properly to be approved for usage. 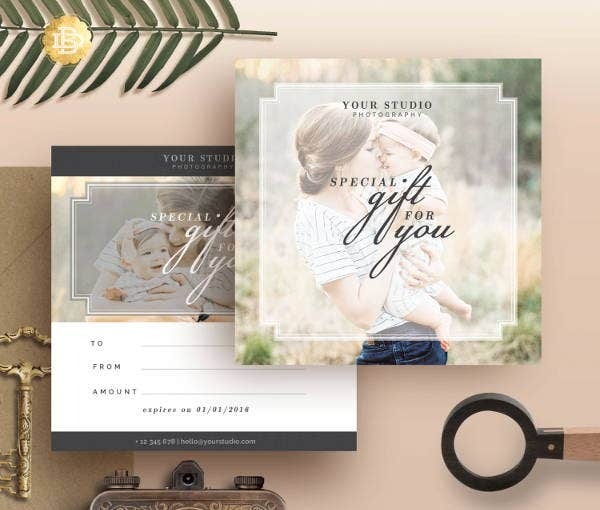 Some of these elements include the gift certificate number, a bar code, the signature of the person who gave the gift certificate, and a stamp of validity. All of these factors may or may not be seen depending on the kind of gift certificate given. 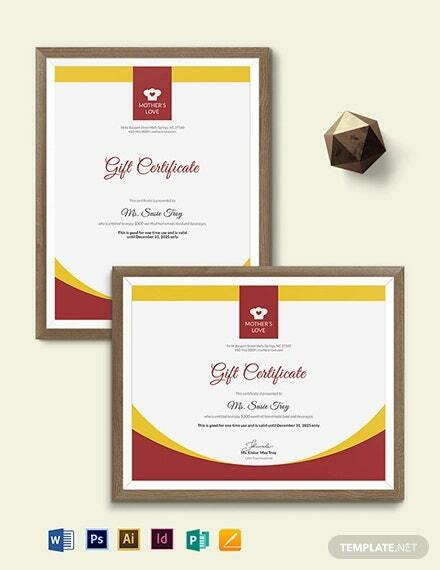 Aside from gift certificates, we also have downloadable and printable certificate templates. 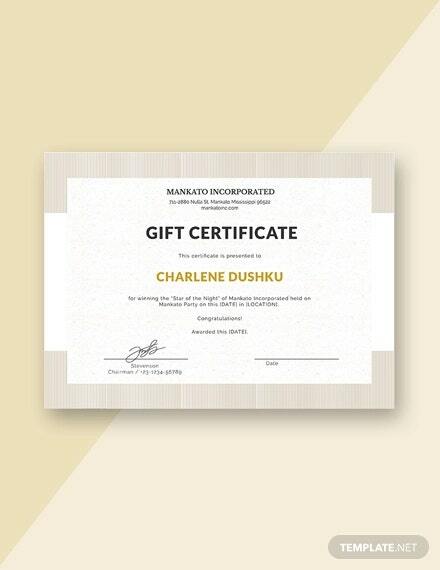 It is truly amazing to receive a gift certificate especially if we truly want the products or the services that may be acquired or used through it. That is why it is very important to look at the terms and conditions first so that we will be able to fully maximize its usage. 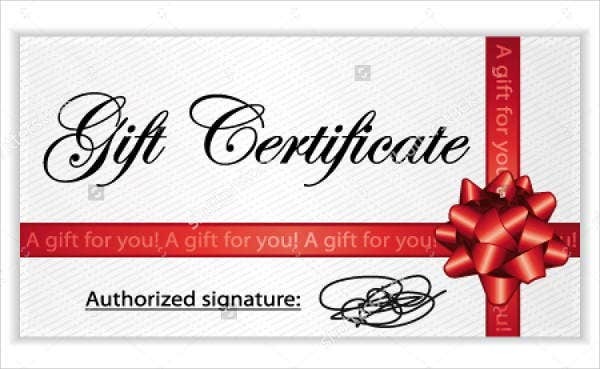 Gift certificates are also beneficial in terms of saving money as we do not need to spend to get a certain service or product. We can allot our money to other things rather than spending it on transactions that can be provided by the gift certificate that is given to us. You may also view our membership certificate templates for reference.